If five years ago someone told me I'd be travelling around the world racing a mountain bike I would have thought they'd lost the plot but here I am racing against the best mountain bikers in the world. 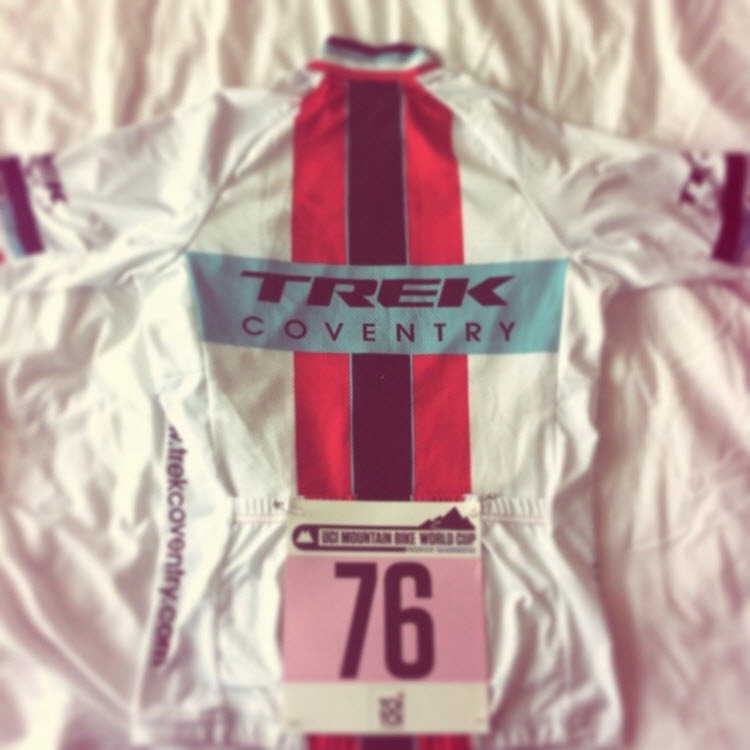 I hope this gives a little inspiration to anyone just getting into cycling or starting racing. It is possible with a little hard work and a lot of support and understanding from family, friends and sponsors. So if you're sat there thinking you'd like to give this world class racing a bit of a go I thought I'd pass on what I've learnt from the many mistakes I've made and continue to make. This bike thing is a constant process of learning and improving. 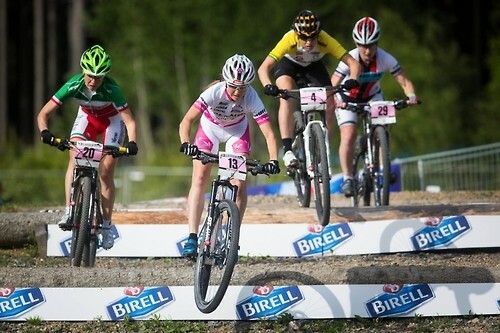 Firstly let me explain the difference between XCO (Cross Country Olympic) and XCE (Cross Country Eliminator). XCE is a new discipline and one that is still finding its feet a little. It is a 1km sprint course with a number of man-made or natural obstacles. 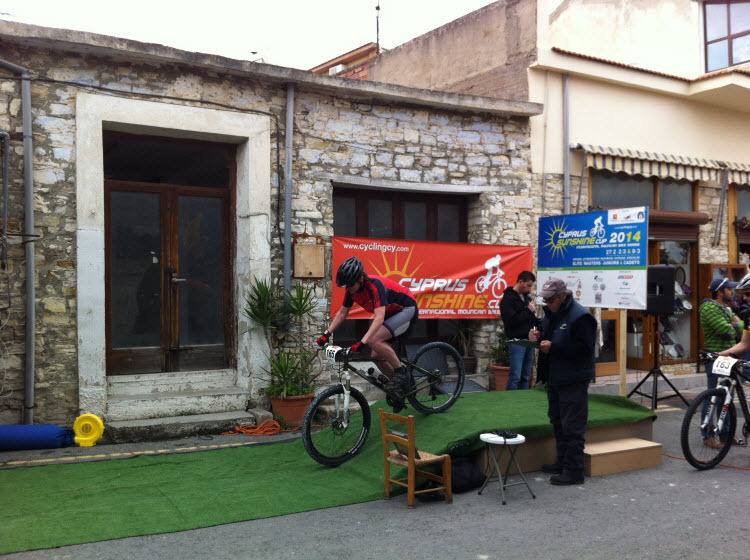 It can be run in town centres or on a small part of the XCO track. There is a qualifying round where the riders do a time trial of the course. The top 32 go through to the heats. These are knock-out races with four riders starting at the same time racing over the same course and the first two to cross the finish line then progressing to the next round. This continues until the final four come together where the winner is decided. It is fast flat out racing and normally throws in some surprise results. 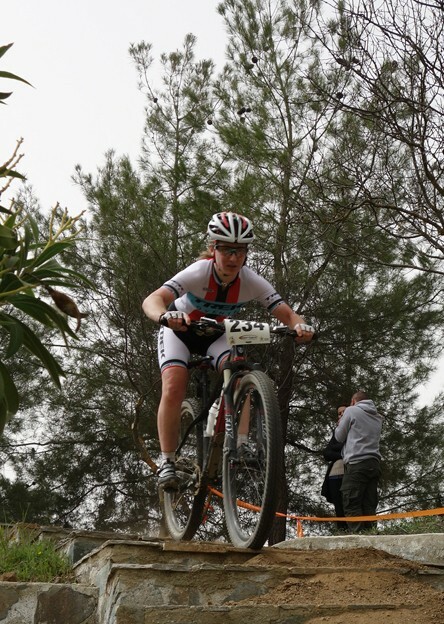 The XCO is a 5 - 6km course all off-road with uphill and downhill features. There are a number of technical features, usually very scary to look at and equally scary to ride. Normally for the women it is 5-6 laps of the course, first across the line is the winner. An 80% rule is enforced for the race meaning that you have to stay within certain time gap to the leader, this gap is defined as 80% of the leaders first lap time. For example if the leader did the first lap in 15 minutes you have to stay within 12 minutes of her the whole race. If you go outside this time you are taken out of the race at a certain place on the course. The 80% zone, my most hated place of the race. 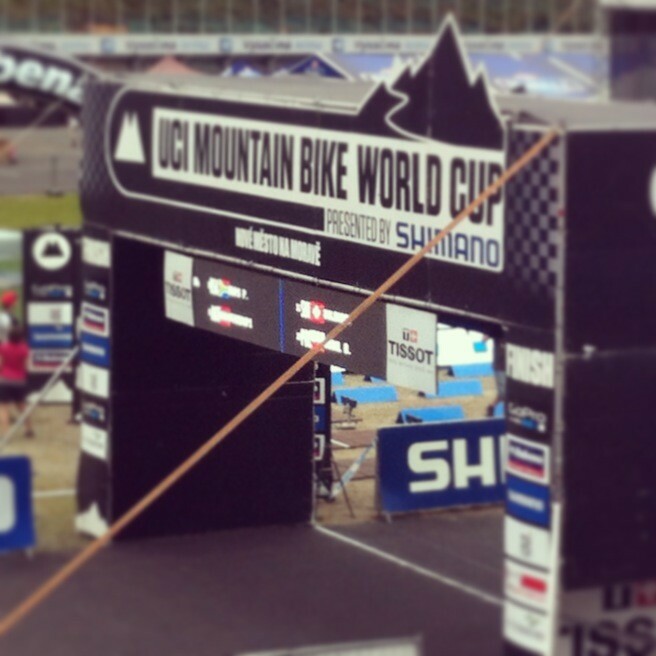 To be able to qualify for a World Cup you need to collect 20 UCI points. They're a little like Nectar points only much harder to collect. 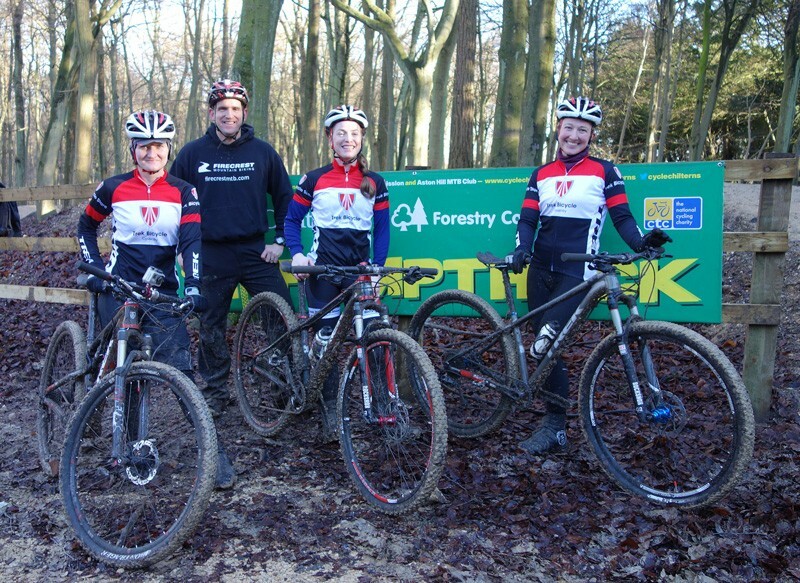 You gain them at National and International Elite UCI level races and the National Championships. Once you've bagged your 20 points you are allowed to go and compete with the best in the world over the hardest course on the world. Not at all daunting! Racing almost seems the easy bit once you get there. The World Cup is made up of 7 rounds all over the world. This makes for a lot of travelling and unless you are a part of a team this will be all down to you. Various long drives, train, plane and ferry journeys are all part of it. If Booking.com did reward points I'd be well in there. I always plan to book hotels really early so I'll be near the venue but I never do but I've got some great last minute deals. Always read the reviews though there is an ounce of truth in them all. I've made the mistake of going for the super cheap one and regretted it. I travel out quite early as I want to make the most of practicing on the course. The more time you have to go over the sections the more comfortable you'll become with them and also you'll get used to the amazing atmosphere at this level. It has a fizz that can be pretty overwhelming to start with. Signing on is pretty daunting in itself. You have your licence checked and then pay your fee. You are then given your numbers, don't lose them. You are also given feed zone passes, again don't lose them it's a nightmare to get more. Give them to your lovely assistant feeding you then they can take full responsibility when they do go missing. You are then ready for official practice. Be prepared to be star struck as World Champions fly by you but also prepare to learn, a lot. Watching the top riders’ lines through sections is a really good way to learn new ways of tackling features. Don't worry if you crash, even the top riders do. If you don't come back from these races with a bit of blood and bruising you've either not been pushing hard enough or you’ve been taking the B lines! Race day is amazing. The atmosphere is electric and normally the crowd is huge. You get gridded according to your World Ranking (I'm normally near the back!). When the gun goes prepare to be bustled, pushed and shouted at. It has been noted I seem quite aggressive when I race, I have nothing on these girls. It's elbows out and keep pedalling no matter what. I'm getting better at this but still find myself being a wuss and letting people go. It'll be the fastest race you've ever had to keep up with, you cannot imagine how fast these riders go. It is just flat out both up and down, it's ace. With the crowd cheering you on you'll probably go faster than you ever done. I always want to improve and to do this you need to push yourself out of your comfort zone. I'm completely aware I race round at the back and telling people you finished 71st two laps down really isn't that impressive but I've ridden some of the most technical sections and pushed myself harder than I ever have before to earn that 71st place. I am well out of my comfort zone and I hope this makes me a better rider and I’m sure it will be the same for you too if you give it a go. It is the toughest racing you will ever do but it is also the most rewarding and inspiring. You are racing alongside World and Olympic Champions, it is a complete honour to be there and you cannot help but be inspired to ride faster and harder than ever before. If you get an opportunity to race at this level grab it, you'll not regret it. You'll come back a stronger rider and a little wiser too. After a hard three days the end was in sight, just the small matter of a cross-country race to get through then we could all relax. We had a calmer drive to the venue than in previous days with no driving on half made roads on the side of a cliff. We arrived early as Sara and Chris were to race before the Elites, this gave Rachel and I a chance to ride a little of the course to prepare ourselves. Not surprisingly it contained yet more huge climbs but the descents were a little trickier. They were very loose and rocky and although I felt more tired than I ever have, I knew I'd enjoy them, I just had to conquer the climbs first. I have never raced back to back for four days and my body wasn't really coping with it that well. My legs ached like never before and even the thought of warming up was a struggle. Looking around at the other riders it seemed everyone felt a little like that. No one seemed to be doing the usual pre-race sprints and there was a lot of hanging around the start pens. Rachel and I both had the same aim in this race and this was to complete the whole distance. The 80% rule was to be enforced so if you weren't quick enough you would be pulled. I've only ever made the race distance once at this level and that was at a World Cup in Houffalize a couple of years ago. As I've been feeling so much stronger I was really hoping I could sneak in. I was very slow off the start, in fact I was dead last. My legs just didn't want to pedal, they felt so heavy and hurt so much. I had a little word with myself and dug in. I soon caught up with the girls I was racing with yesterday and just tried to hang in. Slowly my legs came back to life and I could push harder. I was making up time on the tricky descents and just trying not to think about how long the climbs were. I pushed very hard on lap three to try and stay in for the distance. As I passed the start line for the final time I knew I'd done it, I just had to stay in one piece for the last lap. With encouragement from Sara and the gang I pushed on for the lap. As I passed the finish line I could barely stand. I don't think I have ever dug that deep on a bike but in a weird kind of way it felt really good. I was rewarded with a finishing place of 30th in the race and 29th overall. The highest placed British female. As I lay catching my breath I saw Rachel looking rather bashed up. She had had a nasty crash on one of the technical descents and had landed on the side of her face. Ouch! This meant she couldn't carry on which was a heartbreaking way of ending the race for her. 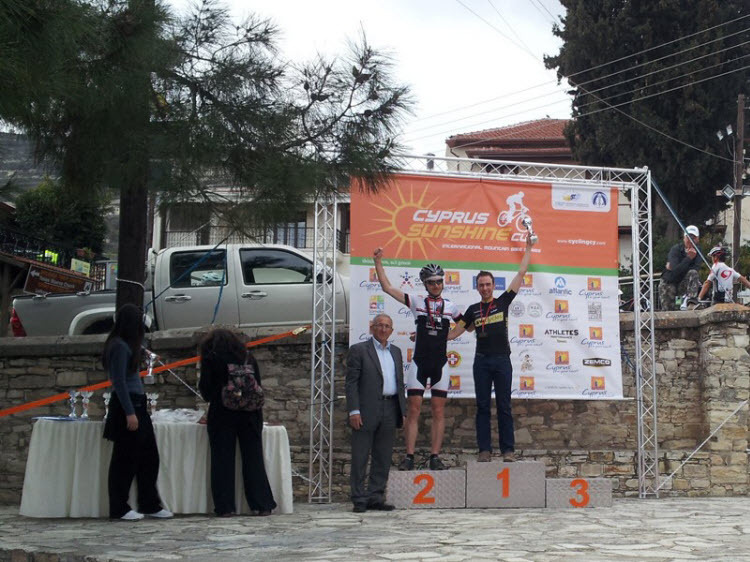 I have enjoyed the Cyprus Sunshine Cup so much and will be back next year. If you get the chance you should come and have a go, with Masters and Junior categories it really is a race for all. Fantastic courses, friendly people and a bit of sunshine, what more could you want! A full set of results for all stages, categories and general classification is available on the event website results page. Big thanks to the organisers, helpers, volunteers, marshalls, start towns, residents of the villages, Evelos Country House and everybody we met for being so friendly, welcoming and helpful. Stage three promised to be shorter and kinder than yesterday, being only 40km with a mere 1450 metres of climbing compared to 1950 metres on stage two. I was a little worried that my legs might not appreciate being asked to climb that much in the space of two days. The stage started one village over than the previous days, in Lythrodontas. We have hired a truck to take the bikes around so loaded it up and headed out early so we'd arrive in plenty of time. Just as well we did as we ended up taking the scenic route. Not that I saw much of it as I had my eyes closed as Rachel negotiated round cliff faces on dirt tracks that had boulders randomly spread around. I freely admit I am far braver on a bike than a passenger in a car. I am a complete wuss and spent the journey clinging onto whatever I could, trying not to look. This caused much amusement to the others, luckily they were kind enough not to take any photos! We eventually got to the village by driving down the final 5km descent of the stage, at least we got to check out a bit of the course. Riding my bike would seem a doddle after that journey. We had a neutralised start again but this time in one big group of all the categories, this meant we went off very fast. My legs really didn't appreciate that at all. We zoomed to the foot of the long climb, from the route profile I knew it was going to be around 20km. What we hadn't realised was that today's climb was yesterday's descent in reverse. 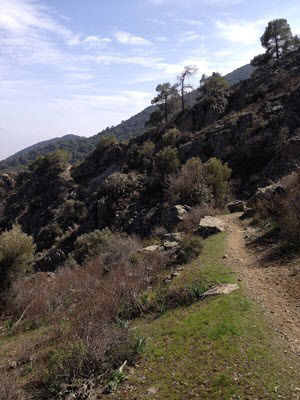 The flowing singletrack from yesterday that was such fun turned into the most brutal climb. The rocky sections required a burst of power that I was struggling to give. I was just willing the top to come quicker. It seemed so much longer and steeper going up than coming down it. Eventually I reached the top, I was in bits but knew it was mostly downhill for the last section of the stage. There was a section of technical track that tested me as I was so tired. I'd like to think I'm a pretty good technical rider but the girls that are here make me feel distinctly average. Again it's something to work on when I get home. I finally reached the last 5km. 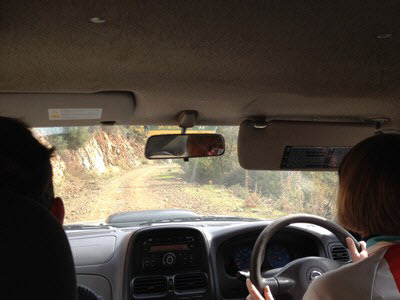 It was a lovely descent on the dirt track I had been such a coward on in the back of the car this morning. I am far braver and faster on the bike! After having a rather testing day yesterday we were all looking forward to putting things right on today's stage. From the maps and route profile it looked like it could be a tough one, it definitely lived up to expectations. We arrived early at the start as both Chris and Sara won their categories yesterday so had to attend the podium presentation. The whole town turned out for them including the local school, both Rachel and I were very proud of them! The stage was 49km long with a neutralised start of 5km. From the profile it looked like one big climb for the first half then a descent with a little steep climb to the finish. I was looking forward to the descent the most and not so much the climb! Neutralised starts always catch me by surprise as to how fast they are. We were ticking along at a fair old pace right from the start. It's always a privilege to ride with the best girls in the world and it also gives me butterflies to be alongside them. There aren't many sports that you can ride with World and Olympic Champions. Unfortunately it does mean the race goes rather fast and as the lead car pulled away the pace went higher. I managed to hang on for a kilometre or so but then I found my own rhythm which was a little off the pace. I found myself in a group of about four of us, all working together to try and keep the pace high. 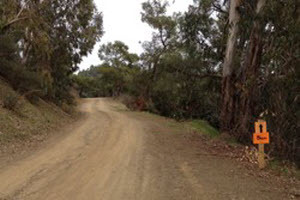 The road climb turned into dirt track with switch backs and steep loose sections. It just kept climbing. I settled into a pace that I was comfortable with and felt pretty strong, before I knew it we were heading back down on the most fun descent I've done for ages. It had rocky sections and little climbs to catch you out but flowed beautifully, I just didn't want it to end. I managed to gap some of the girls I'd climbed with and went into the last 20km still feeling strong and just enjoying being on my bike. The single track turned into gravel fire road and I realised I'm a little nervous cornering on a surface like that, it's something that needs working on! It felt far too soon but we were on the final climb quite quickly. The route profile didn't lie about how steep it was. From 5km out it was all a very steep climb. There were three of us together but going so slowly zig-zagging across the road it must have looked like we were trying to be the slowest not the fastest. Finally the finish line was in sight, I was so glad to see it! 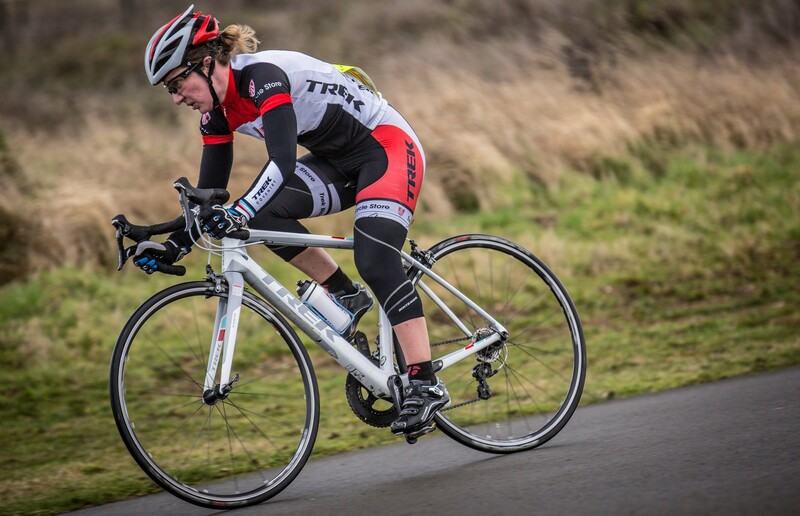 Rachel had a great race too and we're both seeing improvements to our riding. The hard British winters are obviously working! Sara and Chris again won their categories, collecting yet more trophies. We'll have quite an excess baggage bill at this rate! Both Rachel and I found it tough going today but hopefully we'll be back on form for tomorrow's XCO (cross-country) stage. It'll feel very short compared to the previous days stages but there are more big climbs and testing descents. What doesn't kill you makes you stronger and all that! Thoroughly fed up of cleaning mud off my bike and wearing a million layers to ride in I decided I needed to get to the sun. With many teams heading out for training camps at this time of year I suggested doing the Cyprus Sunshine Cup to our team. It's a four day mountain bike stage race consisting of a time trial, two marathon type stages and an cross-country stage. It'd be a mini training camp but much more fun as we'd race as well. Funnily enough the suggestion went down pretty well. 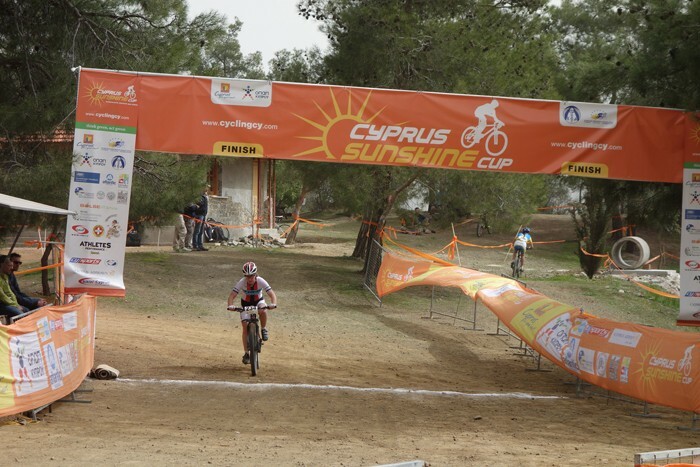 So Rachel and I now find ourselves competing against the best in the world in the gorgeous Cyprus sunshine. We are also accompanied by Sara Randle from Cycle Chilterns, one of our sponsors, and Chris Pedder, Rachel's boyfriend. Yesterday we signed on and checked out a few parts of the courses for the next four days. There was a lot of climbing, and when I say a lot, I mean huge, long climbs nothing like we get in the UK. Weird though that they don't seem too bad when done in the sun. 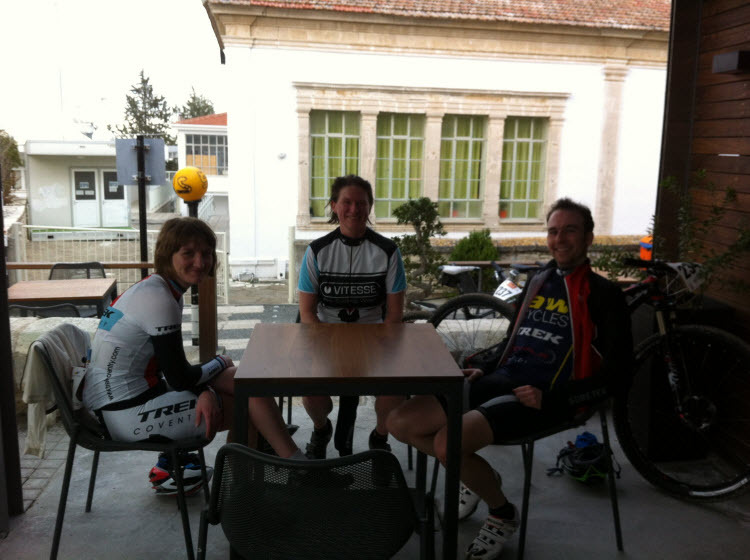 We even had a break at the top for coffee! Today's first stage was a 6km Time Trial. It had two testing climbs, one at the beginning and one towards the end. Sara and Chris went earlier than us and both put in good times in the master category. Rachel went a couple of minutes before me and disappeared pretty quickly through the narrow village streets as I waited on the start ramp. I started well and even enjoyed the first climb although I enjoyed the descent far more. I managed to get in a rhythm but could see the rider behind me chasing me down. I kept calm as she just passed me going up the last steep climb. I knew I could stay with her on the descent so tucked on her wheel. I then heard that horrible hissing sound about halfway down. Disaster! My rear tyre had punctured. I was less than a kilometre from the finish so decided to push on as best I could. I crept round the corners and tried to nurse it home. I finished in a bit of a grump but at least it was the short stage it happened on. 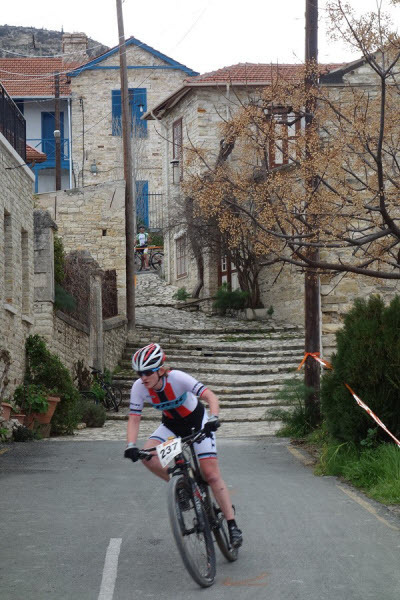 Rachel's race didn't go smoothly either, crashing on a tight corner on the first climb and losing time. She's tough though and doesn't seem too put off by it. We're both looking forward to racing again tomorrow. Keep your fingers crossed, we both need a bit of luck! For the past four weeks each Saturday I've been making the journey to Stourport on Severn for the Wooly Mamil Crit Series. This is a new series this year and fitted perfectly with my training so I thought I'd give it go. 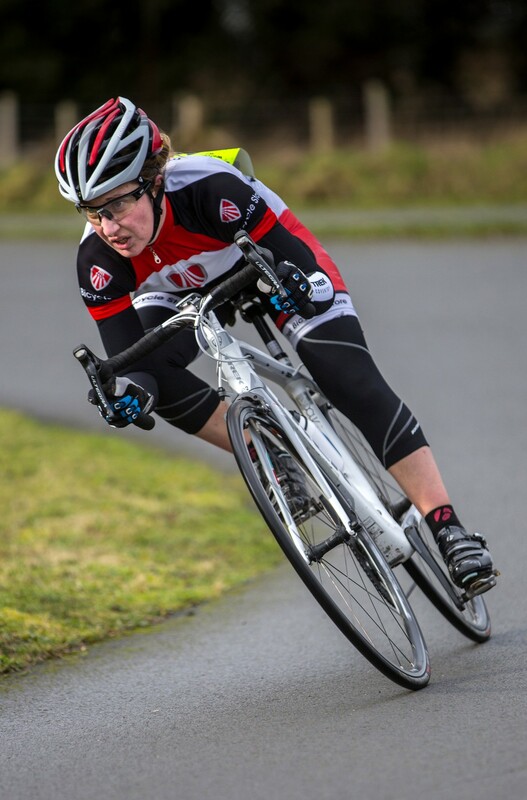 The track atStourport Sports Club is a purpose built facility with a great little circuit with tight hairpin bends and a sharp short climb in the start/finish straight. There's also clean and warm changing rooms and a cafe/bar area, great place to train or race. I dipped my toe into the crit racing scene last year and got hooked but I have a lot to learn and this series has given me the opportunity to do just that. 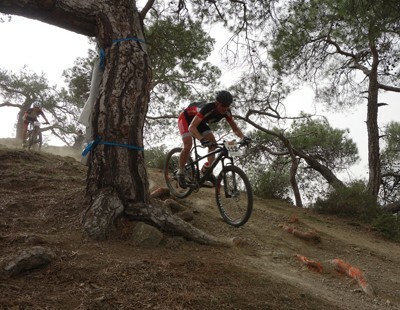 The tactics involved are very different to just going flat out in a mountain bike race. There are a lot of mind games and team tactics, you don't just have to be super strong you also have to use your brain. I think I need a little more practice at this but riding on my own against teams working well together it's always going to be hard work and fighting the urge to go flat out from the start tests my mountain biking nature. Cornering well is a must, having the bravery to push hard into and out of the corner gives you a significant advantage. The first week I was a bit too brave and ended up on the floor. I went away and practiced cornering at speed, playing with bike set up and my skill set in the corner. Practice makes perfect, right?! Hopefully by the summer I'll have it nailed and be able to keep up with the fast girls. It was great to see so many in the women's race during the series, the last race having 25 women lining up on the start. I hope they all enjoyed it as much as I did and will be back for more in the summer. As well as learning lots I also came away with a win in the third race and won the series overall. Not a bad start to the season. Thank you to Huw Williams for the great photos. 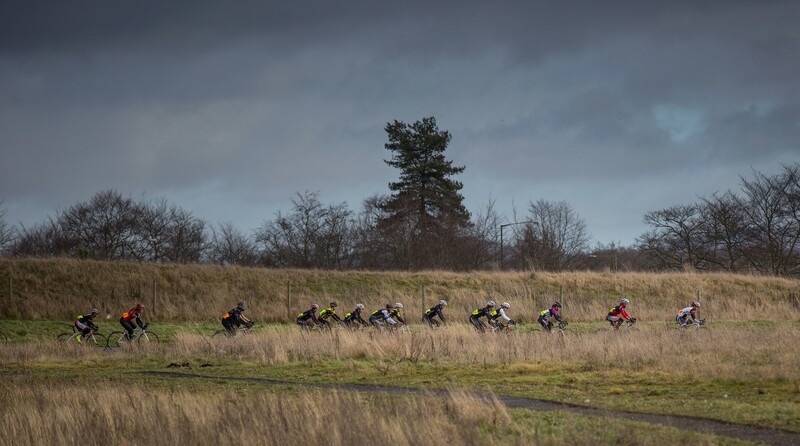 More info and full results for all four rounds of the 2014 Wooly Mamil Winter Crit Series are on their website www.mamilcycling.co.uk. The sun was out but it was very muddy and a little chilly. 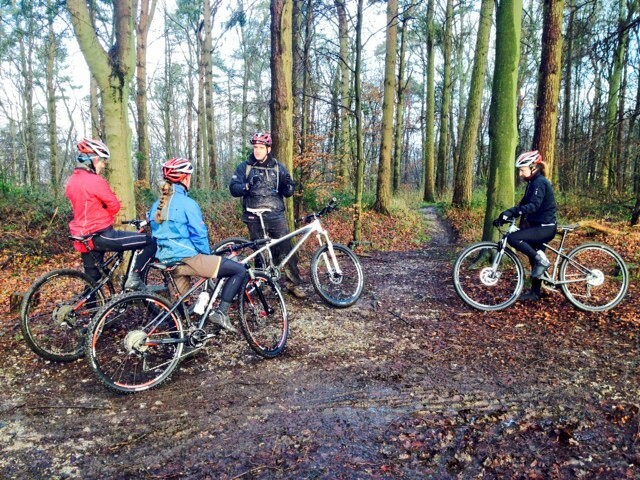 Aston Hill is a great facility for training not only having a number of downhill tracks but a tough cross-country loop and a brand new pump track. It is in the heart of the Chilterns, in fact the highest point is just across the road in Wendover Woods which makes for some punishing climbs but fantastic descents. Both Aston Hill and Wendover Woods are well worth a visit and there’s even a great little café that does super tasty cake hidden in the woods. My team mate Rachel Fenton has also worked with Firecrest before but it was Jessie’s first time. We worked on basic techniques to begin with progressing to doing drops and slippery switchbacks. Each of us gaining in confidence and speed throughout the day. It must have been an odd sight for all the downhillers seeing three girls on cross-country bikes whooping as we cleared jumps and tackled tough rooty sections. With Ian using his video analysis we could correct any bad habits or errors immediately, resulting in all three of us getting faster over each section. We couldn’t resist having a go on the new pump track that has been developed by Cycle Chilterns, a cycling development project run by CTC. It is much longer than other pump tracks I’ve been to and we spent a fair amount of time whizzing round. It was great fun and already Ian was seeing huge improvements in our 'pumping' technique compared to the start of the day. All in all it was a great day with a fantastic team of people and hopefully we’ve all made adjustments to make us a little faster on the trails. We’ll be girls zooming down a trail with big smiles and giggles.